Quik! Forms can do virtually anything you want a form to do! Because Quik! Forms are built upon a standard field design (i.e. first name is always first name regardless of which form first name appears on), you can integrate to Quik! once and automate any and all of your forms with little to no extra effort. Quik! eliminates handwriting on forms and empowers thousands of users every day to do their best work. Are you a software developer or potential partner? See how Quik! can help you provide forms inside your solution! Usage-based pricing starts at $750 per month for unlimited users. Call for more details. Every customer, regardless of size, starts at $750 per month and grows with usage over time. We never penalize you for growth or unexpected usage, rather our model helps you budget and scale as your solution gains success. Our pricing aligns our goals - by pricing our solution on transaction volume we have the incentive to help you gain adoption and do more with your forms. There are so many reasons to choose Quik!. Converting from PDF to HTML forms will completely change the way you and your customers do business together! Quik! is usage-based – you only pay for the level of usage you use, not per user. There is never any overage fees or hidden charges. Quik! builds forms fast to a higher level of automation for less than you can do it yourself. Only pay for the pages that need fields added – legal and marketing text pages are included at no additional cost. Quik! has no limit on how many users use the system because the price you pay is on your estimated level of usage (form transactions). That way you don’t pay for non-performing users. When you deliver a Quik! Form to your users you have choice in how that’s done – you control the security of your data. In other words, you don’t have to redirect a user to Quik!, you can keep them in your domain. Quik! forms are displayed in a single scrollable window so you can deliver all the necessary forms at the same time. Better yet, bundled forms share data which makes filling out the form faster for repetitive fields. Data manually entered in one field will automatically fill in all the repetitive fields in a bundled Quik! Form. Quik!’s forms are well-maintained with solid relationships with each of the companies who host their forms with Quik!. Some forms aren’t complete without attaching an external document (photo ID, trust agreement, etc.) and only Quik! allows you to upload external documents that are added to the final document when printing, submitting or signing. Quik! is highly configurable to create the desired user experience and integration level. See all the configuration possibilities on our Form Configurator page. Quik! is designed for the web and includes 100% source code for a turnkey website. Quik! can generate multiple copies of the same form in a single form bundle. That means you can prefill copies of the same form with different data all within the same window – ideal for multiple beneficiaries and account householding. Quik! can accept data from any data source including web pages, CRMs and databases. The Quik! 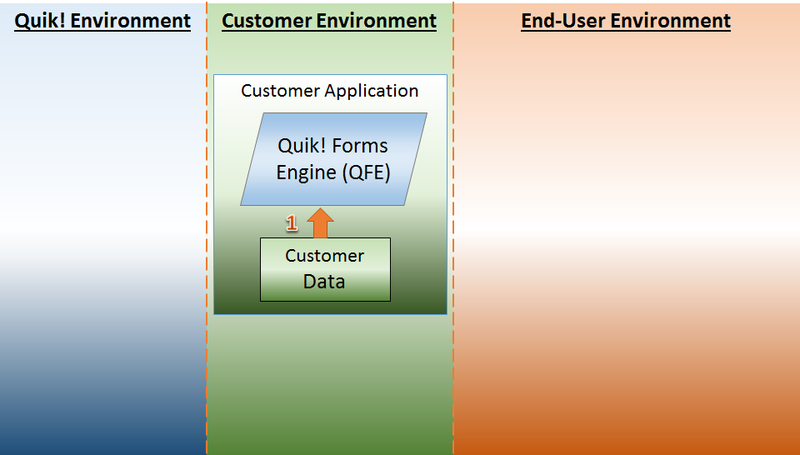 Forms Engine can be used to build iOS and Android apps, websites and applications, server-based applications and desktop software in virtually any environment or programming language. Quik! can be up and running today with our turnkey web application that includes 100% source code, or by using our APIs and web services to build your app. The Quik! Field Definition is a highly organized structure of over 195,000 fields to ensure that every form is built to the same high-quality standard. 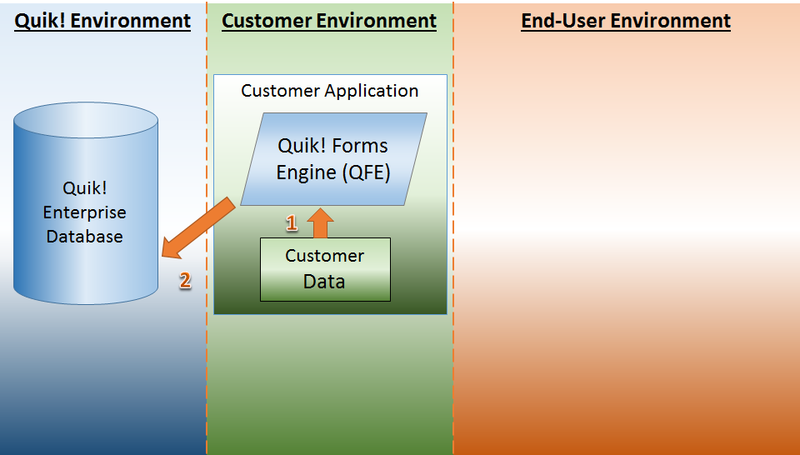 Plus, user-defined fields can be added as needed for specific customer situations. When a form is built it reaches “FINAL” status and awaits publishing it can be tested by the customer prior to being published. This ensures your forms work the way you want them to before making them available to your users. All Quik! forms are built in 10 business days and usually much faster. Optionally we can build forms in under 5 days or even the same day. We can even add custom fields and other customizations. Quik! Forms can be saved as editable, print-perfect PDFs or static PDFs that cannot be changed. All Quik! 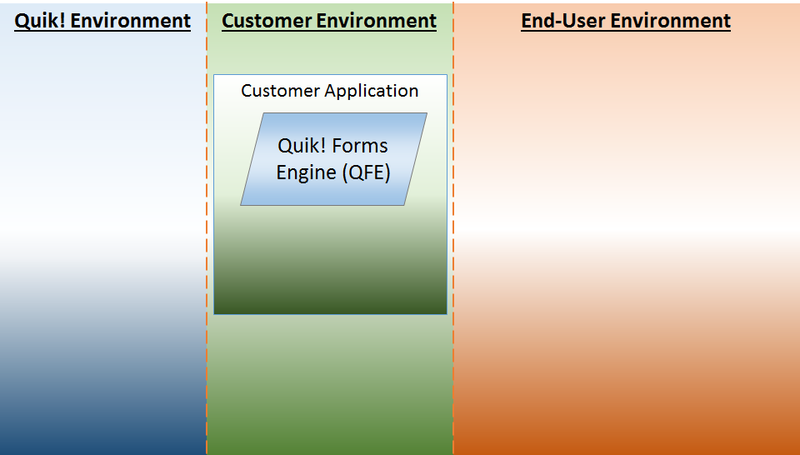 forms are built to the same field definition which is role-based (e.g. owner, insured, beneficiary, client, rep, etc.) which makes it easy to automatically associate a person to a role for signature and data entry purposes. Quik! forms are viewable on HTML-4 (Internet Explorer 8.0) and all the standard HTML-5 browsers. That means your users can fill out forms anywhere! Want to keep your users from saving and reusing old forms? Then set the expiration date of each form when you generate it with Quik!. By default forms expire in 10 days and you can make it expire faster. All Quik! forms are built to the same standard – that’s what makes it possible to map your data once to Quik! and deploy all your forms without additional effort. It also means that when forms change or are updated your system keeps working, resulting in far lower maintenance costs. 2. Request Forms at Quik! The Quik! architecture ensures you're in control of your data, your business process, your forms and your users. We're providing the underlying forms architecture to make it easy for you to add forms to your application via a single API. And because every Quik! Form is built to the same standard you can be assured that common data like First Name, Last Name, Address, Date of Birth, etc. will always be the same fields on any form you display. In other words, map your data once to the Quik! Field Definition to automate all your forms! The Quik! 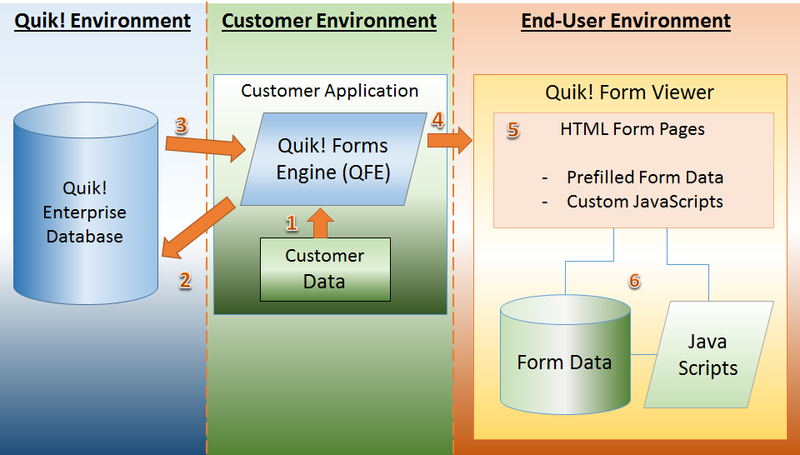 Forms Engine includes a turnkey web application with 100% source code (C#) so you can be up and running today!